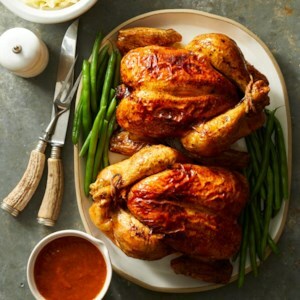 Juicy on the inside and crisp on the outside--Is there anything better than a whole roasted chicken? It's an easy and beautiful main dish for entertaining or a great tool for meal prep--just roast once to eat all week. Plus, these healthy recipes have almost half the amount of sodium of a grocery story rotisserie chicken. 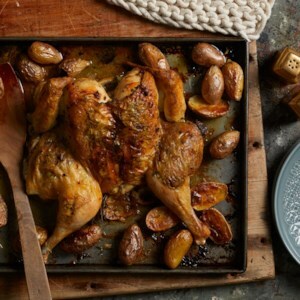 This roasted chicken recipe may be the most useful recipe you'll ever find. 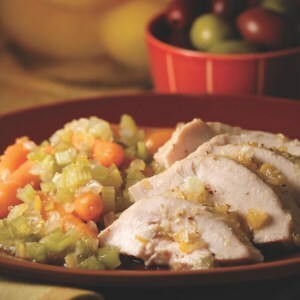 It's a meal on its own or the start of any recipe that calls for cooked chicken--perfect for meal-prepping lunches or dinners to have throughout the week. 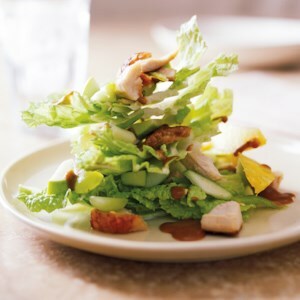 This 30-minute, low-calorie, one-dish chicken salad recipe is crunchy, filling, and flavorful. 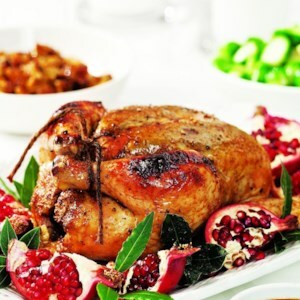 It calls for a rotisserie chicken and fresh fruits and vegetables, and meets the guidelines for a diabetic recipe. Garlic gets sweet and mellow when roasted in this recipe. Squeeze the cloves from their skin, and eat with the chicken or spread on bread. 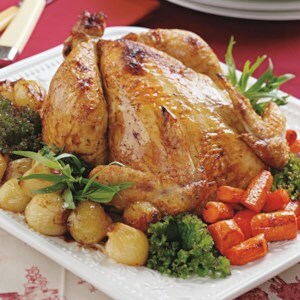 A golden-brown roast chicken served with potatoes, carrots, and onions makes a special meal for family and friends. Brining the chicken before grilling ensures that it's juicy and tender. 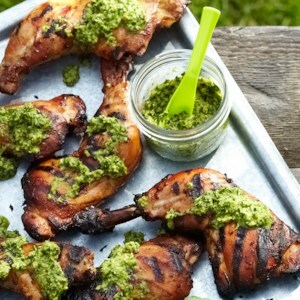 A sesame-cilantro pesto, with ginger, mint, and crushed red pepper, is the perfect topping for this Asian-style main dish. Rubbing the Asian-inspired spice mixture beneath, rather than over, the skin allows the flavors and scents of the warm spices to permeate the entire chicken. 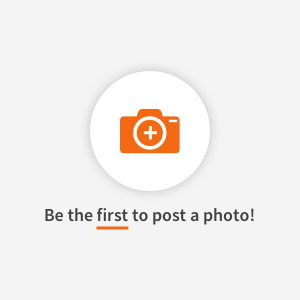 The name might be funny, but the results are awesome. Spatchcock chicken cooks faster than roasting a whole chicken. The bird cooks quickly and evenly, with more skin exposed to get crisp in the oven. If you're uncomfortable cutting the chicken and removing the backbone yourself, ask your butcher for help. Roasted fingerling potatoes round out this easy, one sheet-pan dinner. 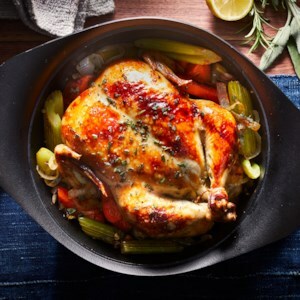 In this easy roast chicken recipe, two whole birds cook side-by-side on one pan, which means you only have to heat the oven once but you'll have enough leftover chicken for days. 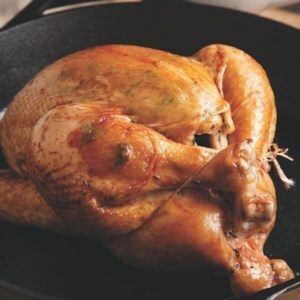 Rotating the chickens on the pan during roasting ensures all sides are evenly cooked and golden brown. 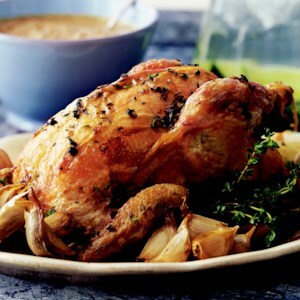 This creamy roast chicken recipe was inspired by a dish made in Turkey, where whole fish are cooked on a bed of potatoes and dill. Comforting and filling, this healthy chicken recipe is perfect for a dill enthusiast, but other herbs, like parsley or thyme, work just as well. 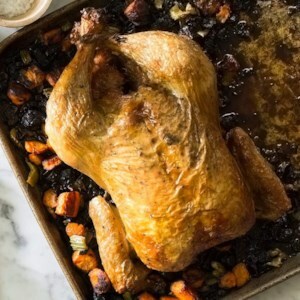 When you season roast chicken under the skin, as in this recipe, the meat itself gets flavored and the skin becomes nicely browned and crisp. 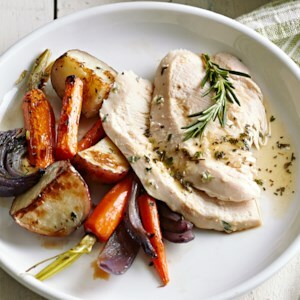 Here, the chicken is roasted on a bed of carrots, turnips and celeriac--but any mixture of root vegetables will work. You'll need about 8 cups of chopped or cubed vegetables. 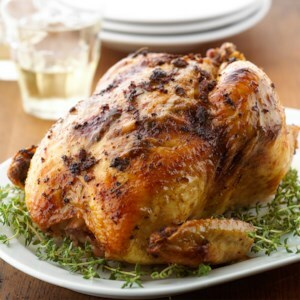 The combination of citrus and thyme infuses both chicken and gravy with a fresh herb flavor. 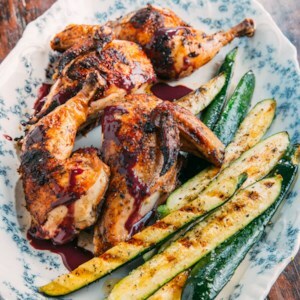 This sweet-tart pomegranate molasses glaze is delicious combined with the citrusy sumac spice rub, and gives the roasted chicken a dark, ruby luster. Rub the chicken earlier in the day, or overnight, for the best flavor. We've included a basic herb combination in this recipe for roasting two chickens at once, but season your chicken with whatever herbs you like. 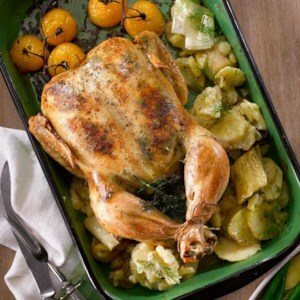 Though we like to roast two chickens at once, you can also easily halve all the ingredients and just roast one. 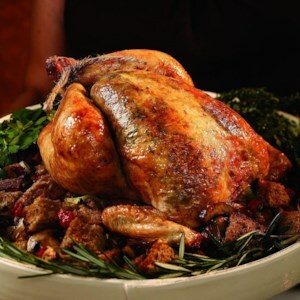 Roasting a chicken on top of a three-mushroom stuffing keeps it moist and juicy. This is a comfy treat any winter night. 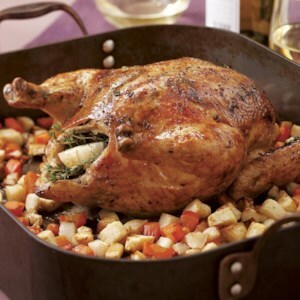 A cast-iron skillet is the perfect vessel for a simple roast chicken. Almost every side dish, be it vegetables, legumes, pasta or rice, goes well with it.